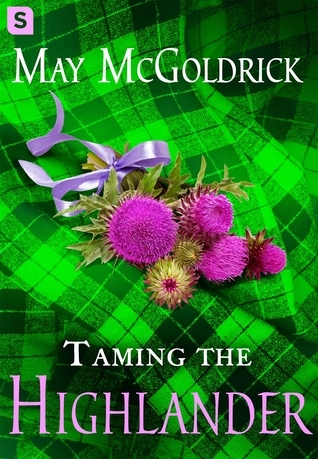 In the heart of Scotland, this Highlander is about to meet his match in a brand new romance from bestseller May McGoldrick. 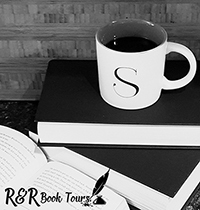 Kenna Mackay thought she was safe in a priory full of nuns learning the craft of healing, but when she is kidnapped by her own husband, the battle of wits begins anew. But even as passions ignite, a deadly secret from Kenna’s past rises to the surface and put their new love in jeopardy. As a heartless villain closes in, two headstrong lovers find themselves locked in a struggle between evil and the power of undying love. And this time, Alexander is determined he will not lose his wife again. Alex Macpherson agrees to marry Kenna Mackay to advance his clan’s power. But he didn’t expect Kenna to be so hard-headed, sharp tongued, and to run away on his wedding night. Kenna hides out in a priory and learns to heal. After helping a woman deliver her bay, Kenna finds herself kidnapped and back with her husband. It is going to be a battle of some strong wills to get these two together. But they will have to work together if they are going to save everyone from the Ralph Evers and his quest for power. I loved the story of Alex and Kenna, this is a great love story between two people that have a misunderstanding and are bound a determined not to love/rely on someone else. I loved the strong willed Kenna and how she was going to not love Alex, even though you could tell that she was coming to care for him deeply. I loved the story of the relics, four portions of a table that gives it’s wearer’s abilities. Kenna has the stone that provides healing. Her mother died giving birth to Kenna so she doesn’t know about the stone or her abilities. It was great learning about them. Of course you have to have a power hungry person bound a determined to get all the stones. 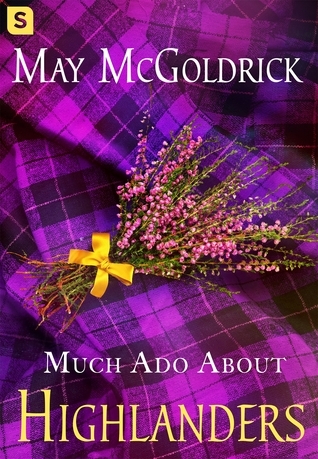 This is the first book I have read from the May McGoldrick team. I received the audiobook version to listen to and fell in love with the story. Saskia Maarleveld does an amazing job narrating this story. I’m so happy that I received all three books in this series to review. I will definitely be having a highlander marathon. Innes Munro is a bit of a recluse. She has the ability to read someone’s past by touching them and this leads to her staying locked away in Castle Girnigoe to keep from being branded a witch. But she is asked to attend her sister’s wedding where she meets Conall Sinclair. Conall was taken hostage by the English and tortured and now keeps to himself. But Innes and Conall find themselves drawn to the other but are worried that their past and ability will cause more harm than good. 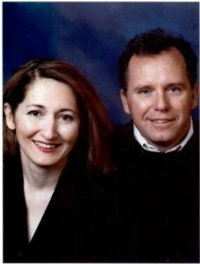 We follow along as they start to love each other and the various events that draw them closer. But then someone from the past makes an appearance and tries to take away the stone that Innes has. I loved the story with Innes and Conall. They were so reluctant to reach out to each other and watching them come together was such a sweet story. I loved the antics of Ailein and Bryce as they keep trying to get Innes and Conall together. But my favorite character was Wolf; I’m such a sucker for a fuzzy companion. I loved Saskia Maarleveld’s narration, she does a great job. I love this series and can’t wait to see how it ends. 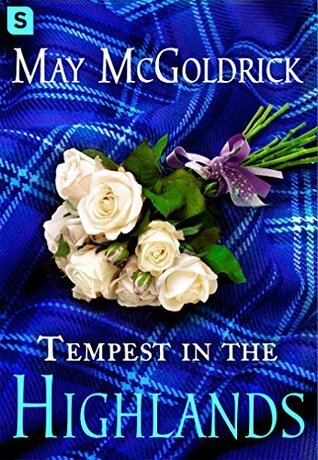 If you like highlander romances you really need to check this book out. Miranda MacDonnell has the gift of sight after the death of her parents. Trying to stay one step ahead of the killer, she disguises herself as a boy and stows away on privateer’s ship. Rob Hawkins, known as Black Hawk has been ordered to hunt down Ralph Evers. He knows that Evers is after Miranda and plans to find her to catch him. But the last thing he expected was for Miranda to be on his ship. Then a shipwreck leaves them on the Isle of the Dead, which is where the tablet can be destroyed. Miranda tried to control the different situations that she finds herself in due to her sight. She tries hard to protect others especially Rob when she learns of their connection. Rob is a strong man yet is very caring for Miranda. I loved how the two of them interacted, especially when Miranda was dressed up like a boy. Then there is the tablet. Everyone from the last two books along with Miranda and Rob are on this island to destroy the tablet. It was great coming back to these couples and finally defeating Evers. I admit that I was left a little disappointed since there were many questions that had been left open through the series that didn’t really get answered. I really enjoyed this series. Saskia Maarleveld does an amazing job narrating the story. Over all I would say if you like highlander romances that you should check out this book and the rest of the series. I received The Scottish Relic Trilogy from the publisher for free. This has in no way influenced my opinion of these books.